The film was set in 1920s and depicts a rural village in Karnataka, where a young widow, the daughter of a village scholar who runs a local school, finds herself pregnant after being seduced by a teacher. While the girl remains unaware of the happenings within and around her, she is excommunicated by her father, who performs her funeral rites (Ghatashraddha), while she is still alive. A little boy through whose eyes the entire story is perceived goes back home, after the school is closed down following the incident. 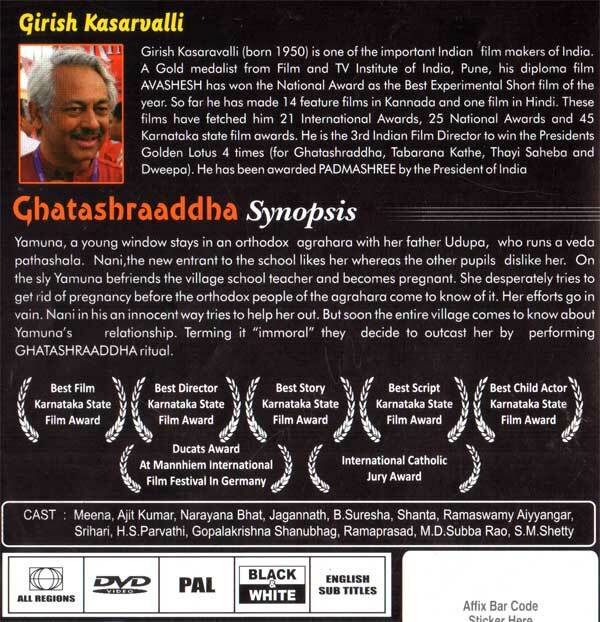 This movie also shows a clear picture of caste division amongst Brahmins and Shudras (untouchables) in quite a few scenes - when the little boy tries to touch the shudra slave he actually runs away saying it is not possible., and before the climax scene where the Shudra slave says to the main priest "He had saved his daughter (who got pregnant being a widow) even from the snakes, but could not save her from a Brahmin."